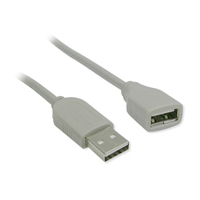 This standard USB Male-Female straight extension cable will allow you flexibility in the placement of your USB mouse or keyboard. Don't stretch out your cables... use an extension and place your input devices wherever desired in your workspace. Note: All USB devices will work up to 16 feet from the source, and most will work at further distances, so assuming a standard 10' cable, the 10' extension will always work and the 15' extension will usually work. 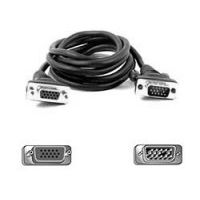 This high-quality DB-15 cable will allow you to place your monitor in the optimum position within your workstation. Don't risk damaging embedded data cables on your monitor ... use an extension and have the freedom to route your cables in whatever manner you wish. 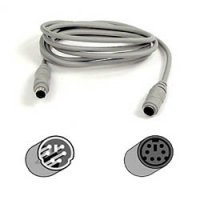 This standard PS/2 Male-Female straight extension cable will allow you flexibility in the placement of your PS/2 mouse or keyboard. Don't stretch out your cables...use an extension and place your input devices wherever desired in your workspace.